Today is our 1st anniversary! Me and my boyfriend started dating after knowing each other for two years. Knowing him has been a continuous process – I’m glad that our relationship keeps evolving and grows stronger with each passing days 🙂 This past first year was exciting, though we did not see each other at all (our next meeting is scheduled for next Spring), we managed to maintain our communication very well. We had lots of arguments – never too serious, mostly over small things – and those arguments somehow helped to make our relationship stronger. I thought I knew him well already since we’ve known each other for a while before finally being in a relationship.. but no, there are still so many things that surprise me about him (and vice versa) now that we’re a couple! hahaha. I know that we shouldn’t be counting days and years, but there’s no harm in celebrating the first, right? 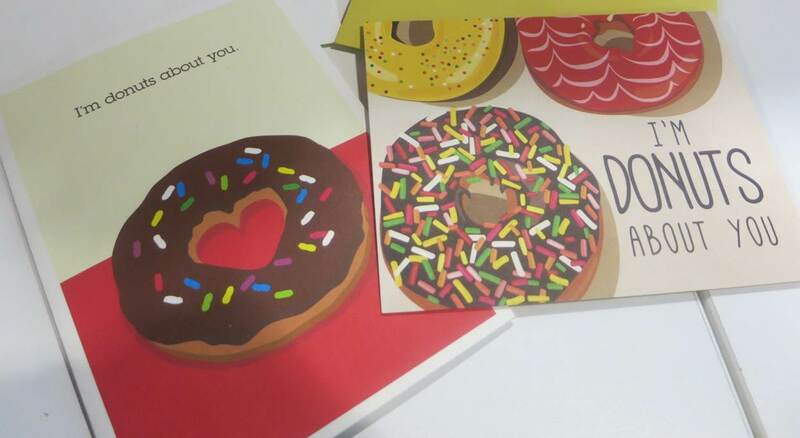 As a part of celebration, we decided to send each other cards – just a little something special. To our surprise, we ended up buying a similar card! I was so surprised when his card arrived, because it looks so similar to what I bought him. To sum up this first year, I would say (and we both agreed to this) that time flies really fast. I guess it’s true what they say.. time flies when you’re having fun and I can’t be more thankful to have such a wonderful guy to share it with! another yearssssss together, u two ! Great minds think alike! Happy anniversary to you and your boyfriend. Next Next post: 22 hours in Padang!